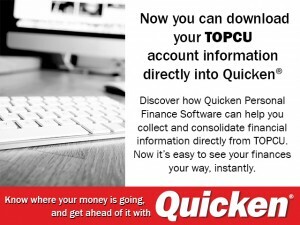 Below you’ll find tools and resources to help you manage your TOPCU accounts, from changing your address and ordering checks, to setting up direct deposit and viewing the current fee schedule. If you can’t find what you’re looking for, use the search tool or give us a call at (520) 881-6262 ext. 702. We’re happy to help. Credit union earnings are returned to member owners by offering free and low cost services, low rates on loans, and high yields on savings and investments. Everything you need to know from activation and setting up account alerts, to reporting a card lost or stolen and more. Setup your direct deposit account quick and easy. Members using online banking can reorder checks securely through your Online Banking service. Order checks fast with just a few clicks. You can customize your checks or add a checkbook cover. You can also track shipping on your most recent check and accessory orders. Not an Online Banking user? Give us a call at (520) 881-6262 ext 702, or toll-free at (800) 440-8328. Safe deposit boxes are available to our members for low annual fees. In a safe deposit box, your valuables and important documents are safe and readily available upon request. Plus, your safe deposit box fee can be withdrawn automatically from your TOPCU saving account, making it worry-free. To have funds wired to Tucson Old Pueblo Credit Union, please use the following instructions. If you have any questions, please call the TOPCU contact center at (520) 881-6262. All you need to do is login to your Quicken® account.